Every August, the Perseid Meteor Shower rains light across the night sky. 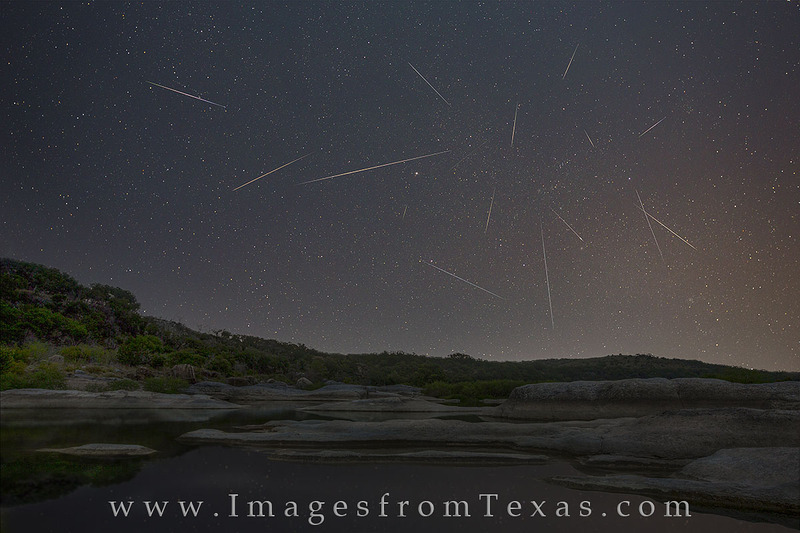 This time-lapse image shows the best meteors over the course of a few hours along the Pedernales River in the Texas Hill Country. Photo © copyright by Rob Greebon.